By now most of us have probably seen the ads for the kids pop music albums on the tv, right? You know the ones- where kids are singing today's greatest pop hits? I don't know what it is about the idea of kids singing for other kids, but my son has been fascinated by the ads for a long time. But honestly, I am just not a huge fan of a lot of the current pop music, and am not 100% certain I want my little guy listening to it- sung by kids or not. 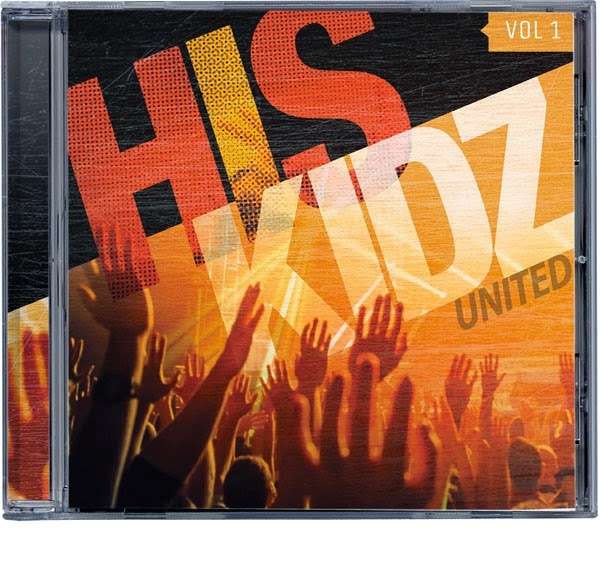 So, when I was contacted about the His Kidz United CD series, I knew it was perfect for my family. What is His Kidz United? Basically, it takes that same concept of kids singing for kids and applies it to Christian music! How fantastic is that? It features hits from some of my personal favorite artists- Switchfoot, Chris Tomlin, TobyMac & Michael W. Smith (to name a few), but makes them more relate-able to kids by having kids perform them...because let's be honest, kids listen to their peers more than grown ups for the most part, don't they? My son can enjoy the 'kid' music he enjoys, and I can feel confident knowing that he is listening to great music with a positive message. Music I can feel good about purchasing for him. Overall, we were both thrilled with the His Kidz United Volume 1! It is a CD that we can listen to and enjoy together! We cannot wait to see what wonderful songs the future volumes have in store! We've expanded our music base lately and my grand daughter loves the new groups we've found. One is called Anthem Lights and it's really good. Another is called 2 Empty Chairs- again, great stuff! She even asked us to upload it to her Itouch list. Now that's a compliment!